Specific areas include: data, text, graph, stream and social media mining,information integration, data quality, query languages, probabilistic and inconsistent databases, streaming and parallel algorithms, algorithms for joins, crowdsourcing, truth discovery and document summarization. Relevant application areas are: data science, healthcare, bioinformatics, transportation, cyber security and education. 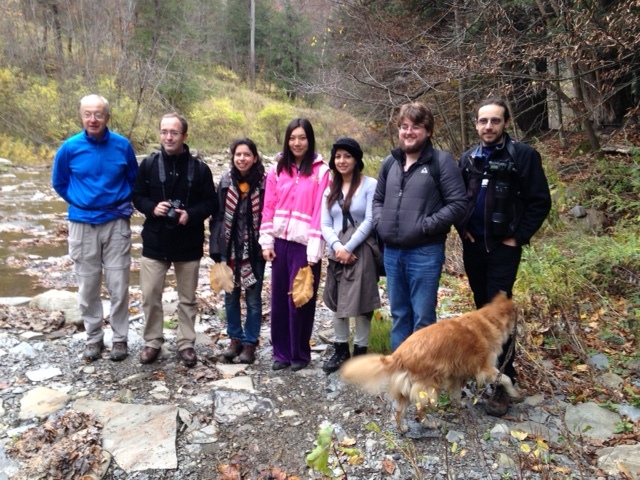 The Database Group enjoys getting out for annual nature hikes. We find interesting destinations in Secret Places: Scenic Treasures of Western New York and Southern Ontario, written by the late Bruce Kershner, husband of CSE Assistant Chair Emerita Helene Kershner.